Rep. Mike Coffman of Aurora, who handily won re-election in part with a campaign to distance himself from his Donald Trump-like right-wing past, was interviewed by Colorado Public Radio’s Ryan Warner this week–and Warner is to be commended to forcing something like answers from Coffman about the crisis over Russian intervention in the recent election to help Trump win. RW: I want to start with the fact that intelligence agencies have said Russia meddled in the US presidential election apparently in an effort to help Trump get elected. Now there’s an uncorroborated report that one, Trump’s campaign coordinated with the Russians, and two, that the Russians have dirt on Trump that could make him vulnerable to blackmail. The information was persuasive enough apparently that it was shared with both Trump and President Obama. What’s your reaction to the latest developments? MC: Oh my gosh. As an Iraq War Veteran just to believe the intelligence and the lead up to the Iraq War, as a member of the Armed Services Committee, the lead up to the US military incursion into Libya for regime change, and what we were told there and what we found out afterwards. And recently not that long ago, we found out that at the senior levels in the Obama administration that they were cooking the intelligence on ISIS to make them look less formidable and that we were making more progress than we really were. And so we’re constantly looking into these things, and I hope that it’s just something that needs to be cleaned up. Certainly the rank and file of the intelligence community and the raw information that they put forward is good. I think when it’s put together in trying to establish a fact pattern to prove a particular thesis, I think sometimes it becomes questionable and politicized. As you can see, Coffman has truly mastered the art of taking both sides of an issue. Intelligence gets politicized, which is both sometimes true and exactly what Trump supporters want to hear–but Russia is a “tremendous threat,” so we should presumably still be worried? It seems to be left as more of a hypothetical discussion item than a pressing question about a President-elect who takes office in eight days. One thing we can’t reconcile, though, is Coffman’s statement that his “concern” about Russia “runs much deeper than the President-elect.” If the allegations that the Trump campaign was actively engaged with the Russian government to win the election are true, you can’t separate the President-elect from the Russians. Whatever Coffman’s “deep concern” with the Russian agenda is, the leader of Coffman’s party is at the center of it. If you can’t admit that, you really can’t be honest about the situation. Is he an Iraqi war veteran? He needs to remind us more often and also how many pushups he can do. 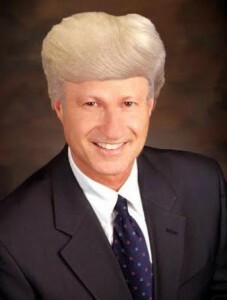 I want our great Congressman Mike Coffman to answer one question to the best of his ability: Is he an Iraq War Veteran? I'm not clear on that. If so, he needs to always remind people of that. Because it automatically gives him an untouchable level of authority on everything!!!! He needs to say that a lot more than he does. "In these days of predictable partisanship, it is refreshing to see a lawmaker able to exercise judgment and stand up to his own party." "Most recently – and dramatically – Coffman took action against his party's presidential nominee, Donald Trump, by running an ad to say, 'Honestly, I don't care for him much'." Coffman ran as a politician who would stand up to Trump, and not be a rubber stamp GOPer. We will call him out whenever, as expected, he fails to stand up to Trump and he rubber stamps the worst of the GOP bills that are sure to come. I tried a couple of times to read his responses but I started getting a headache.